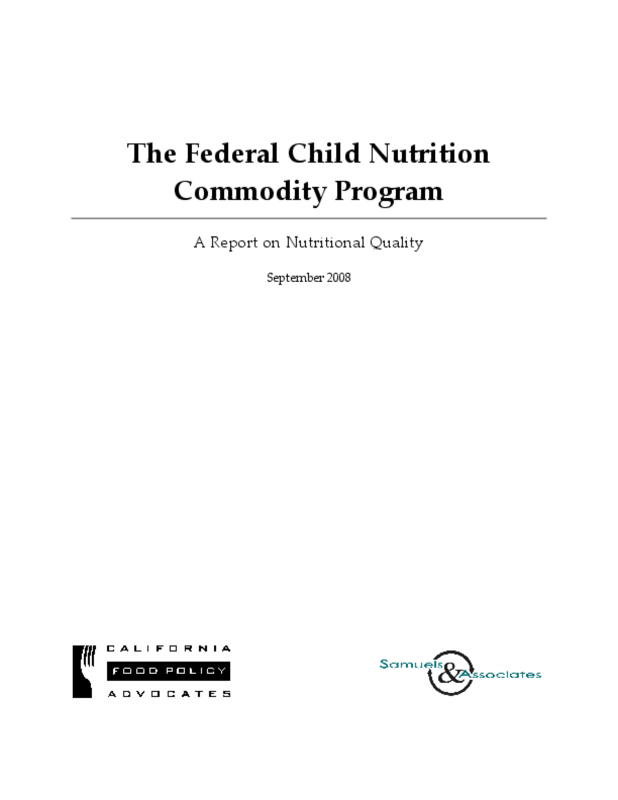 Examines the types of food California schools order through the USDA Child Nutrition Commodity Program and how they affect the nutritional value of school meals. Includes policy recommendations for ensuring that meals meet nutritional guidelines. Copyright 2008 California Food Policy Advocates.